First of all, they did a great job on the brush, it is amazing. 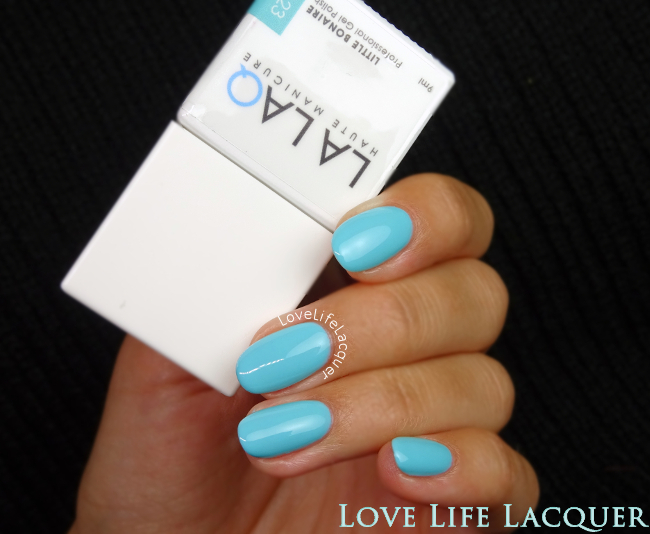 It is a bit rounded and quite dense but flexible, which makes application super easy, even on my tiny pinky. The packaging so classy, sleek and sophisticated. I would not mind displaying these in my room! (hint hint). The formula is flawless. 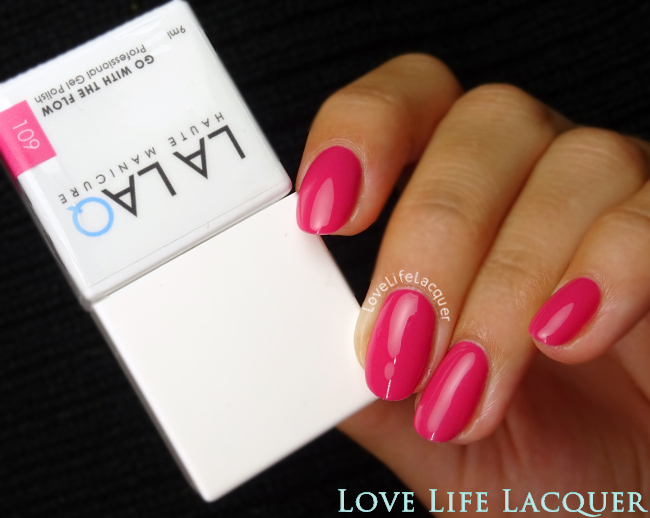 Like seriously, this is one of the smoothest gel polishes I have ever tried and combined with the brush, it provides an easy and flawless application, everytime . 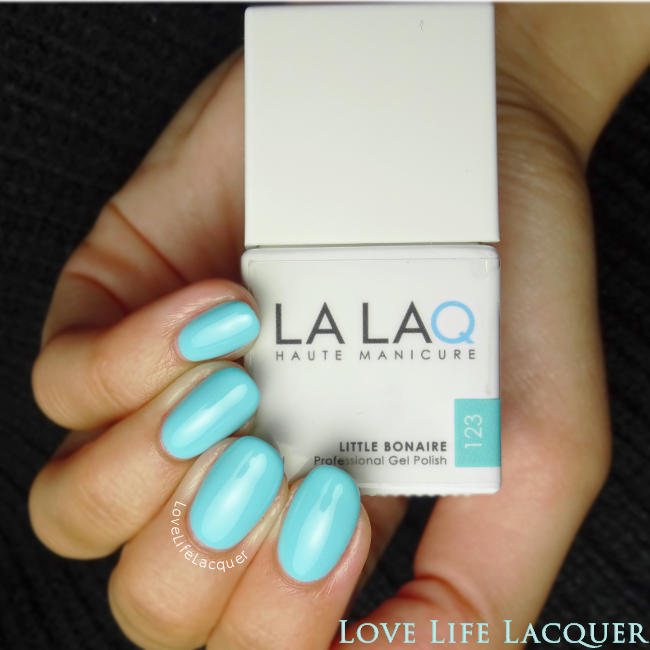 At the moment, La LaQ is available in 30 colours. 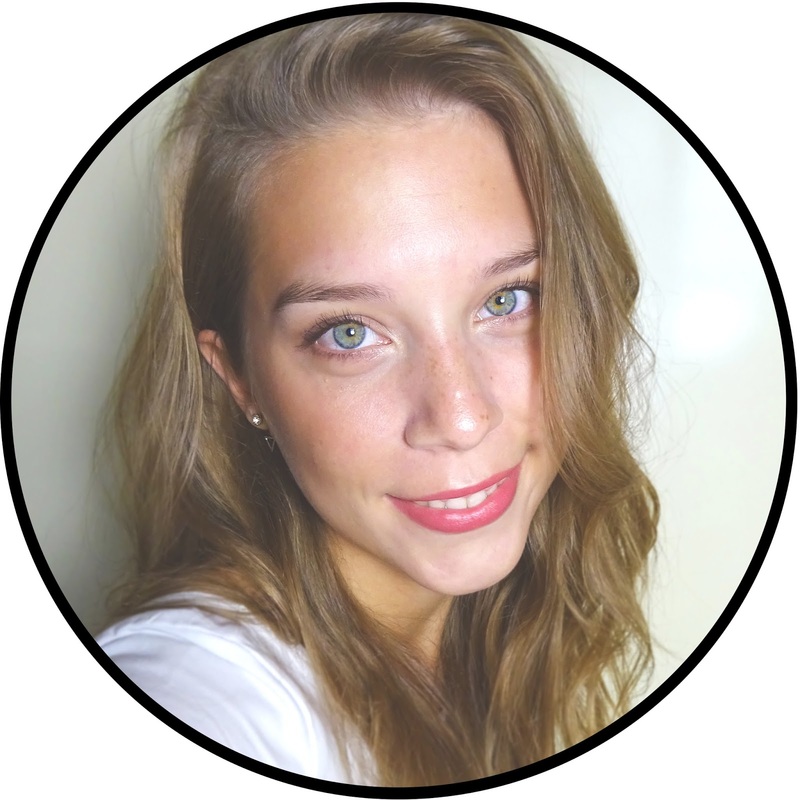 There is also a primer, a base, a top, a shine booster and a cuticle oil. And of course removers, cleansers, remover wraps, files and more. Now, enough rambling, let's move on to some swatches! 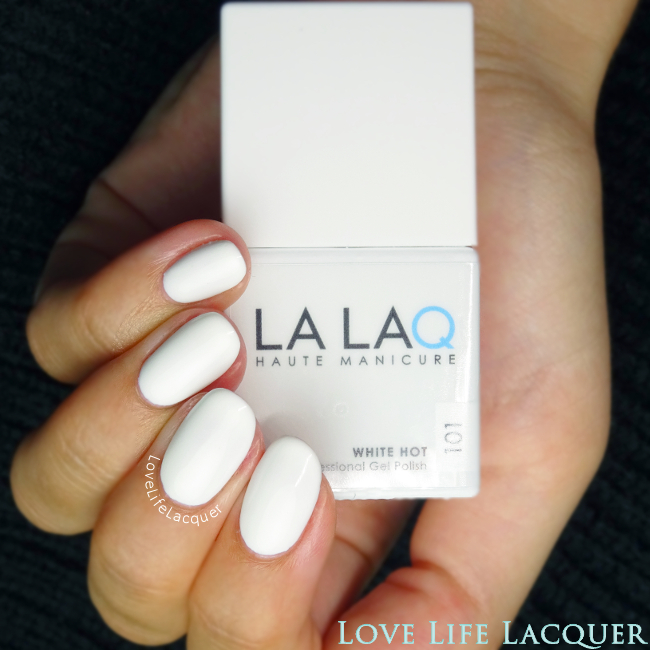 101 White Hot - A pure white crème with a super smooth formula. This was 3 coats, but 2 is enough. 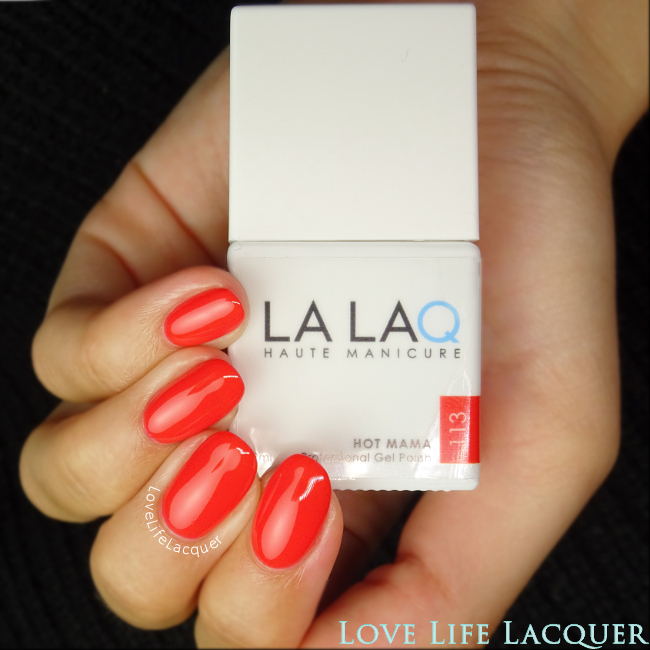 113 Hot Mama - Bright orange-leaning red crème with a thin, smooth and pigmented formula. This is 3 coats. 109 Go With The Flow - A darker pink crème with a thin but very pigmented formula. This is just 2 easy coats. 123 Little Bonaire - A bright light blue crème with -again- a super smooth fomula. This is 3 thin coats. 201 Shiny, Shiny! - A silver glitter. I layered 1 coat over Little Bonaire. So pretty! I am very excited about this brand of gel polish! Not only does the packaging look great, the formula is just flawless and I am seriously in love with the brush. It makes such a difference in application. I definitely recommend this brand! 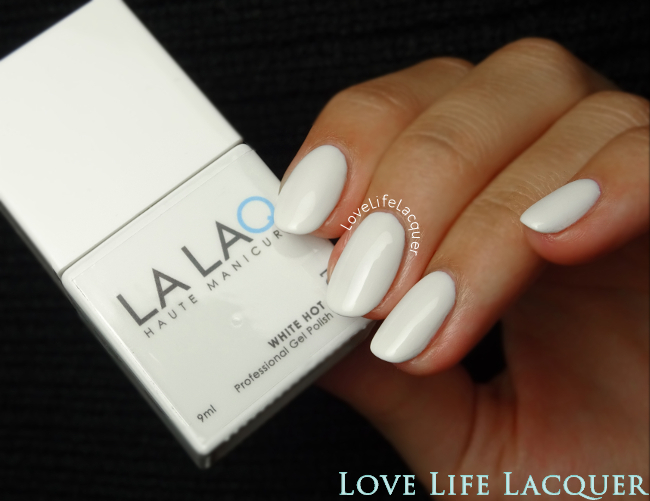 La LaQ is available through the La LaQ site and the gel polish sells for €16,95 for 9 ml. Primer, top and base coat is €17,95. Starter packs range from €85 to €175. I love the pink and blue polishes the best! 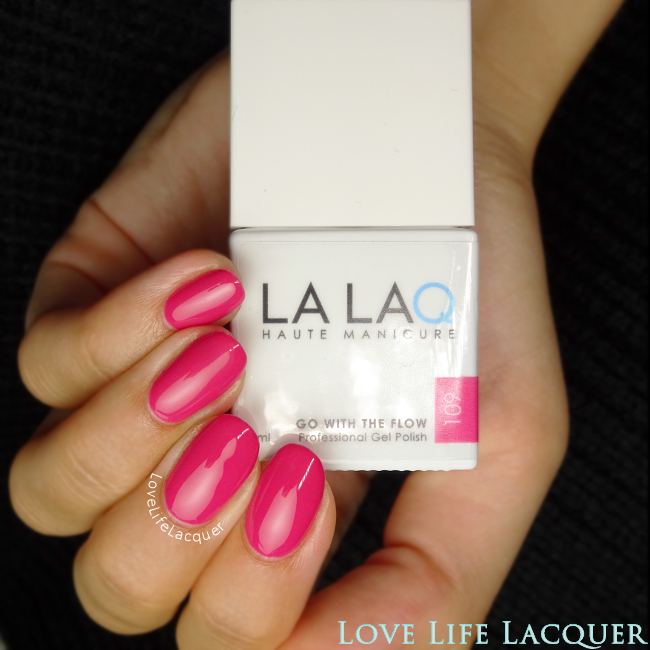 Would you recommend to use la laq's own base and top coat or can i mix and match them with other brands? Hi! 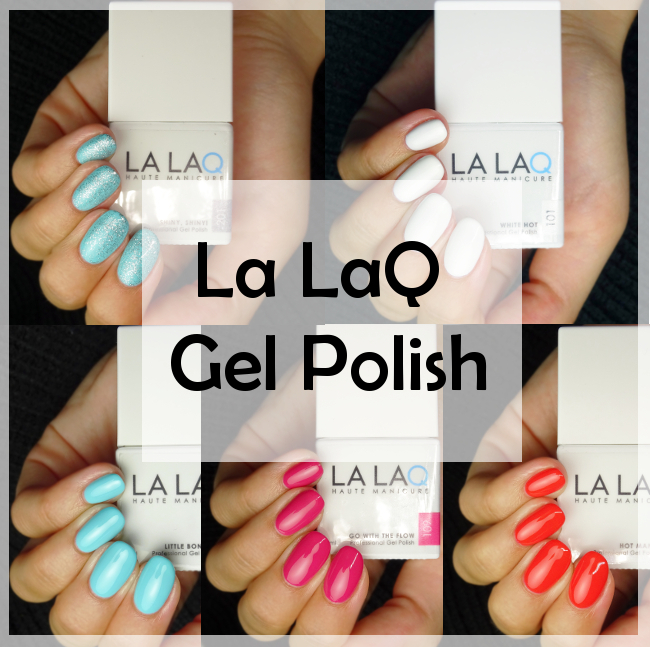 With gel polish, you can always mix and match, however it is best to use the same brand base and top coat. You can always put another brand of gel polish in between ;-).